Gong xi fa cai! 2017, the roster year! Well, today I won’t share about birthday invitation, but it’s Chinese New Year card template. 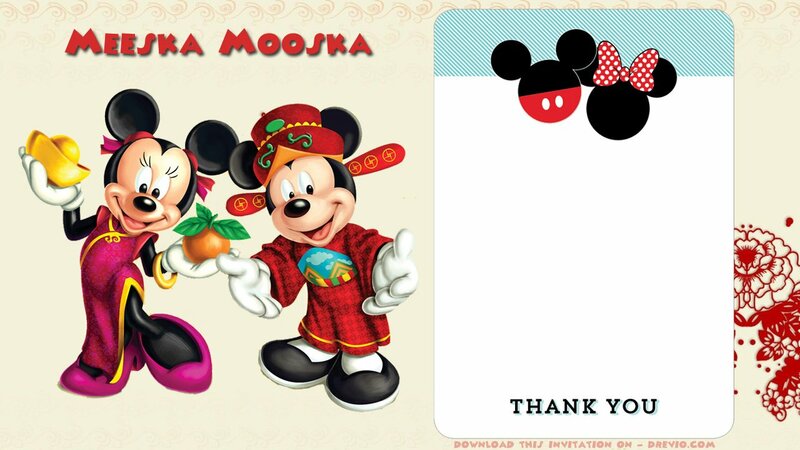 Here’s free printable Mickey Mouse Chinese New Year card template. You can send it to your Chinese friend, or your kids. This Mickey Mouse theme looks so cute, so I decided to create it for you, my chinese friend. This invitation comes in JPEG high quality image. You can simply download and fill with your own template wording. There are so many wording examples out there. You can fill it using a pen or marker. If you’re able to operate Photoshop or Gimp, then you can make it more beautiful! You can using this fully-blank invitation and start filling with your own wording. Fill the card template with your own wording and when you’re done, you’re ready to print and spread the words out.